We visited Beach House Assisted Living and Memory Care, it was great, and very nice. We thought my friends would like that, but they were not ready to go. Everybody was very friendly, very nice, and we went there to eat lunch. I researched many assisted living facilities for my mother, and decided on Beach House for a variety of reasons. The facility was wonderful, the absolute perfect size, and in a quiet neighborhood in Jax Beach. The staff has been nothing but fantastic, always welcoming and accommodating. The other residents have been so friendly and kind, and have been an absolute blessing to my mother. It was simply the best decision we could have made for my mother, and would recommend Beach House to anyone. Thank you for taking the time to leave a review for us at Beach House Jacksonville Assisted Living & Memory Care. We're happy we could meet your expectations! Thanks again for the recommendation, and have an amazing day! Our family would like to acknowledge the fine staff of “The Beach House Assisted Living & Memory Care” facility for caring for our 85 year old mother. After an unexpected trip to the Beaches Baptist Emergency Room we were frantic to find a facility that would care for and help her regain her strength. Working with compassionate Director of Community Relations Amber Luke, on a weekend , she made it possible to get a “Respite” room at a reasonable rate. Many staff members worked with us to arrange therapy, give her the personal care she needed and taught us how to navigate requirements for future care. We are very grateful for their patience and full knowledge of Florida law. We do not know what the future brings but will strongly consider returning to The Beach House as a full-time resident. We're so glad that we were able to go above and beyond your expectations! The team here at Beach House Jacksonville is committed to providing the BEST care for all of our residents. We would love to have your mother return to us if she ever needs support in the future! Their move in process is excellent. The round table concept is simply brilliant. Allowing each vital member of The Beach House's professional team to introduce themselves, explain their work history, and describe how they will impact my mother's well being. Beach House Assisted Living & Memory Care was wonderful, and I was impressed with it. I would have preferred this place because of the location and the things that they offer. The entire place -- including the rooms -- was lovely. I was impressed with every aspect of their operation. Thanks for the feedback! We strive to provide excellent service to our customers at Beach House Jacksonville Assisted Living & Memory Care. You really made our day today! Working with dementia residents can be very challenging and I would like to recognize a CNA at Beach House who has made a very positive impact on a gentleman I represent. She established a positive, caring relationship that never fails to surprise me. How did she do this? I’ve noticed the following: she calls him Father, (which is how he sees himself), she asks rather than tells him to do certain actions and gives a reason. She recognizes his hearing deficit and gives him time to answer her requests, and she consistently thanks him for doing the correct thing. And when he fails to comply with correct behavior, she simply says, I’m leaving now. (I’ll be back.) Because of this respect, he trusts her. It’s a beautiful thing to watch. And, one more thing: since he is an Irish born, she understands and honors the fact that he comes from a different culture than most other residents. She not only is a hard worker but she has mastered the “secret:” Don’t focus on the disease, and all its many foibles; work toward making the “best” out of the day that can exist. Beach House fosters this kind of service at their fine facility. Thank you to her and Thank you, Beach House. After visiting and comparing 5 other communities in the Jax area, we recently relocated my parents to the Beach House the first week of 2017. After the first week, we can say we definitely made the right choice! From the location, look and feel, size and quality of the property itself, introduction with Amber (Marketing), Amy (Activities) to Charles (Executive Director) and the ENTIRE leadership team could not have been more helpful and easy to work with. As in any transition there are always issues to be resolved - we want to recognize Jason (Nursing) who went above and beyond to ensure the medical/medications were set for my parents. Many heartfelt thanks for your support of our family during this important and significant transition! Smivol, thank you for leaving this detailed feedback about your experience with Beach House Jacksonville Assisted Living & Memory Care. You really made our day today! My 95 year-father just recently moved into Beach House. What a great living alternative for him after living at home and being self-sufficient his entire life. The facilities are new and beautiful and close to the beach. The staff is very pleasant and professional. And my father even likes the food which is unlike his reaction when we were visiting other such residential facilities. Recently, Beach House was forced to evacuate the residents due to Hurricane Matthew. Mr. James, the Director, kept my family updated at all times regarding the current situation and next steps. He and his staff did such a great job under the stress. I highly recommend. Thank you for taking the time to share your recent experience. Ensuring the satisfaction of all residents is our goal. Your feedback is very valuable to us as we work to provide the best resident experience each and every day. My sister is a resident at Beach House assisted living facility. I am very pleased with the manner in which the recent evacuation was handler and at no time was I concerned with Shirley,s well being. We are fortunate to have Charles as the new executive director. My Mom has been at Beach House for almost two years. The Care Staff is knowledgeable and very loving. It was impressive the way the team handled the evacuation during hurricane Matthew. We are blessed to have a new executive director who is an experienced nurse. Charles sees the potential in his staff and shifts team members around into positions in which they can be successful and better serve the residents. The staff is available, friendly and the front desk gals always greet you with a smile. In the two years we have dealt with a lot of turnover in director positions, but my Mom has been well cared for and feels secure and content. My Mom has been living in the memory care unit at Beach House for 18 months. The staff is compassionate and attentive to her needs. She feels very secure there. We were so impressed with the way they handled the recent emergency evacuation. They made it as comfortable and stress free as possible. 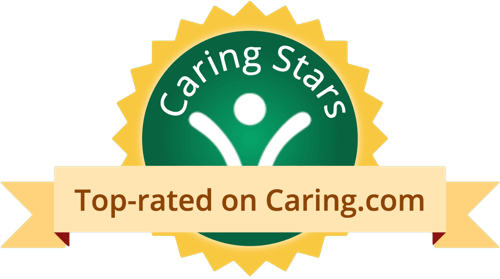 Fine facility with an excellent staff....we have had a great experience and feel our loved one is in excellent care. Very easy to communicate and work with the team there as well. Michael and Lily are great up front...and the Nursing team, Culinary team and Facilities team all provide very good service.. I recommend a visit to the Beach House. The kindness and support my family received from the whole staff at Beach House while traversing the difficult and wrenching decisions we made for my mother was what set Beach House apart from the other facilities we visited. Sharif Charles James and more directly deputies Lily and Michael (Western Night) turned the deep reservations my mother felt into a couscous hope for the future. Something me and my sisters desperately needed as we clumsily tried transitioning my lovely yet dementia suffering mother into assisted living. I cannot ever repay them for the peace they brought to us. Beach House doesn't take MetLife. It was nice, and the room that they showed us was a little pricey but nice. The staff was nice and helpful. The dining area was nice. We ate lunch there, and the food was OK. It's very clean. We found Beach House Assisted Living & Memory Care a little bit sterile in terms of the ambience and it was not in a particularly good neighborhood. The staff was excellent. She was very enthusiastic, very knowledgeable, and certainly answered all the questions we had. She didn’t try to oversell it, but she was definitely obviously very positive on the place. After 3 years and 2 other assisted living facilities we finally found the right place to call home for my mom. The folks at Beach House from the top down are all we have been looking for and then some. From the initial visit and onboard process, to the transition into our moms new room, every detail is well thought out and executed perfectly. After managing our moms day to day needs for the last 3 years as her illness has progressed we are all spent and just want to enjoy her and allow the caring and skilled professionals at BH to take over and boy they have! I highly recommend the Beach House for those who require assisted living! After two years of being a caregiver to our father at an independent living facility, we felt comfortable with peace of mind. Two weeks ago dad began to get confused and disorientated. We were at a loss about this abrupt change. After a brief hospital stay and hours of searching for a care facility, we decided on Beach House Assisted Living and Memory Care. It was the best decision we could have made for our dad. Even though this process is very time consuming (and stressful on caregivers) the executive director and his staff made this transition happen in less than 24 hours with great care and understanding. Our dad has been at this facility for over a week and the staff continues to be passionate and caring They update us with any information that they believe will help our dad have the best quality of life that can be provided. Thanks Charles and all your wonderful staff at Beach House. My Dad was recently hospitalized and needed to transition from an independent living facility to memory care. My family and I toured 5 different facilities before selecting Beach House. We were especially impressed with the Director, Charles as he mentioned more than once that he had a passion for his work. He and 2 of his very professional staff members, Jason and Lily proved this as they helped to transition my Dad from the hospital to Beach House with only a half day notice ! My family feels very blessed that my Dad is in a lovely first class facility with a staff that treats him like a king. Residents of Beach House Assisted Living & Memory Care enjoy the relaxed, peaceful life for which Jacksonville Beach is known. They have total access to resort-worthy amenities and individualized programs that embrace residents' physical, spiritual and intellectual well-being. Comfortable furnishings and beautifully decorated interiors create a warm and welcoming ambiance. Private residential suites include all paid utilities including telephone, internet and cable television. Routine interior and exterior maintenance takes the worry out of living in a private residence. Around the clock trained associates ensure each resident's health and safety needs are met. 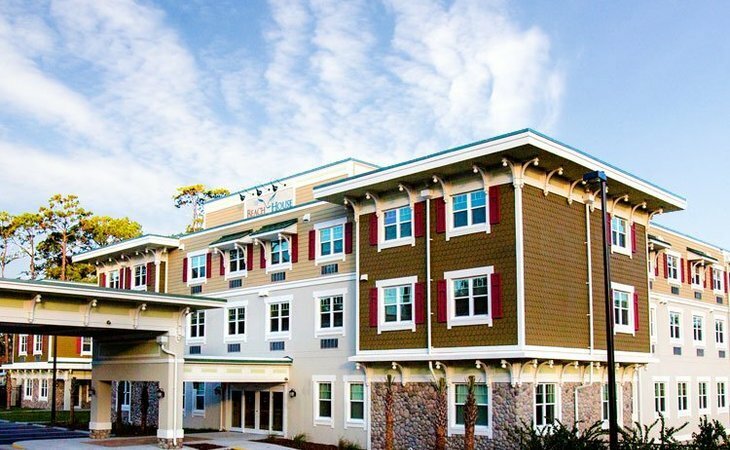 Customized, activity-focused memory care neighborhood concentrated on engaging residents with Alzheimer's and dementia-related diagnoses in one on one and group programs. Cultural, social, spiritual and educational programs keep residents involved and entertained. Music and art programs, planned outings and special events enrich daily life. Exercise, fitness and wellness programs support body, mind and soul. Personalized wellness programs and customized service plans continuously monitor health-related needs, providing quality and specialized care for each resident's overall wellbeing. Extended Congregate Care services offered when and if you need it. Spacious dining, living and recreational areas include a library, internet cafes, art studio and crafting space. Three nutritious daily meals, freshly and artistically prepared, lead to an enjoyable dining experience in our Beach Club Grille or Boat House Grille. Scheduled transportation services are available for residents to outings, errands, and medical appointments. Accessible laundry rooms on each floor for the convenience of residents and visiting guests. Sometimes a little extra companionship can ease a transition, enhance a celebration and make all the difference when it comes to recreational activities. The Ambassador Program offers companion services that will give your loved one peace of mind and additional assistance where and when they need it. The Ambassador Program has move-in days, birthdays and holidays covered - just because days, too! What should caregivers and potential residents know about Beach House Assisted Living & Memory Care?